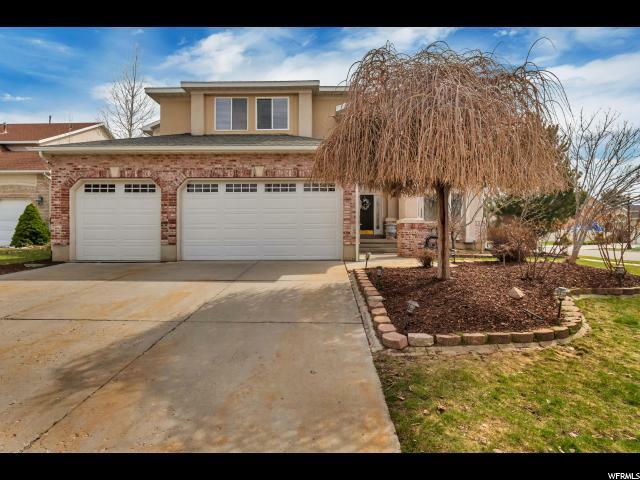 All MILL HOLLOW homes currently listed for sale in Salt Lake City as of 04/21/2019 are shown below. You can change the search criteria at any time by pressing the 'Change Search' button below. "Spectacular 2 story in desired subdivision. Surrounded by walking trails, open green spaces and walking distance to Mill Hollow Park that has a covered pavilion, playground and tennis courts. Ideal location, be at mouth of the canyons or at freeway entrances in under 5 mins. Perfect family home with 6 bedrooms, 4 baths, 3 car garage and a second kitchen in the large open basement. Kitchen recently updated with new stainless appliances and granite countertops. Huge master suite w/ garden tub and walk in closet. Private and quiet backyard with picturesque waterfall/pond. Cozy pergola covered with grapes. Fully fenced with mature fruit trees including, figs, walnuts, nectarine, plums and apples. Arlo security cameras installed on exterior and included. Don't miss your chance to live in absolute comfort and convenience!"